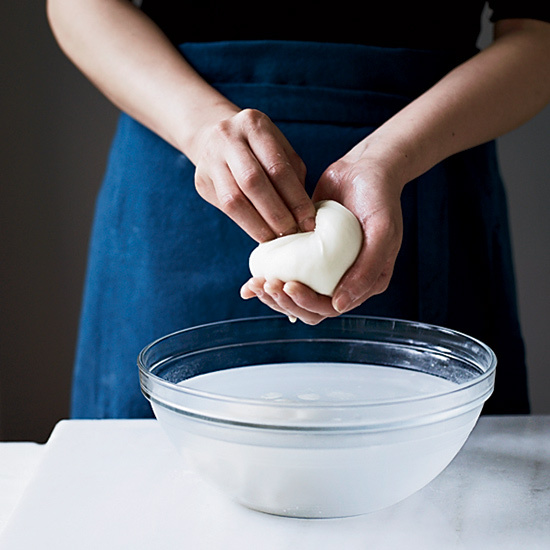 Manhattan chef Sal Lamboglia tells how to transform rubbery cheese curds into warm, tender, milky mozzarella in 30 minutes. 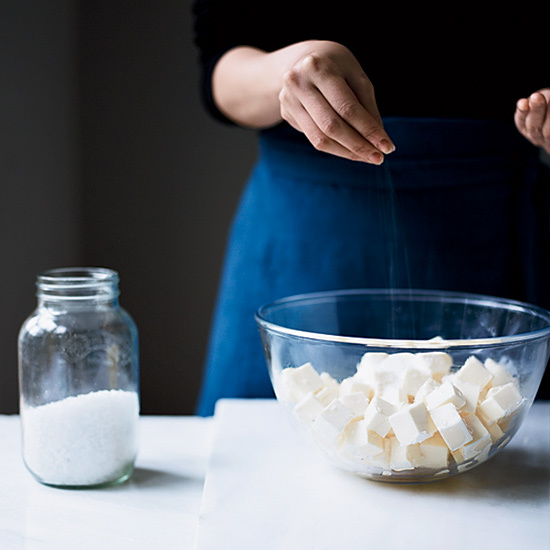 The technique demonstrated here requires only three ingredients: water, salt and high-quality curds like the kind made by Caputo Brothers Creamery ($17 per lb. ; saxelbycheese.com). 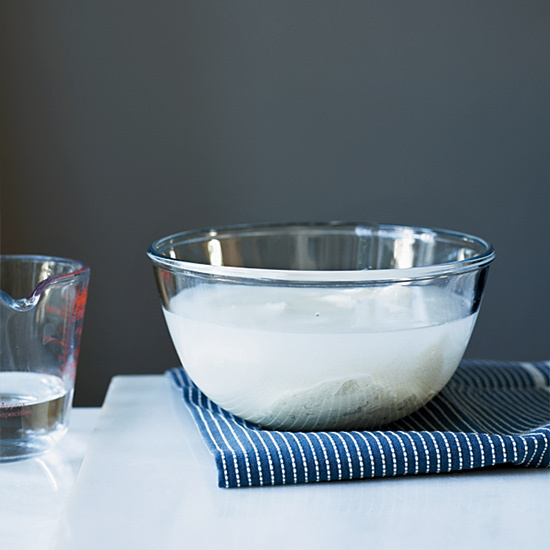 In a heatproof bowl, soak 2 pounds of mozzarella curds in lukewarm water for 10 minutes to bring them to room temperature. Drain the water. Season the curds with 2 tablespoons of kosher salt and toss. Heat 2 quarts of water to 170°. 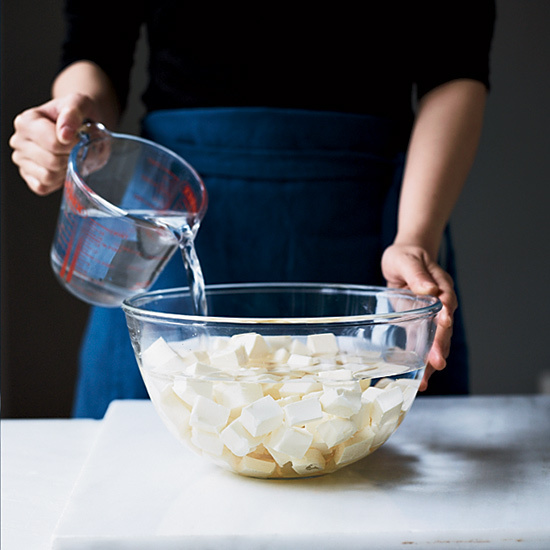 Slowly pour the water around the edge of the bowl until the curds are completely submerged; be sure not to pour the water directly on the curds. Let the curds stand in the hot water, without stirring, until they begin to lose their shape and melt together. This will take about 1 minute, and the water will become cloudy. 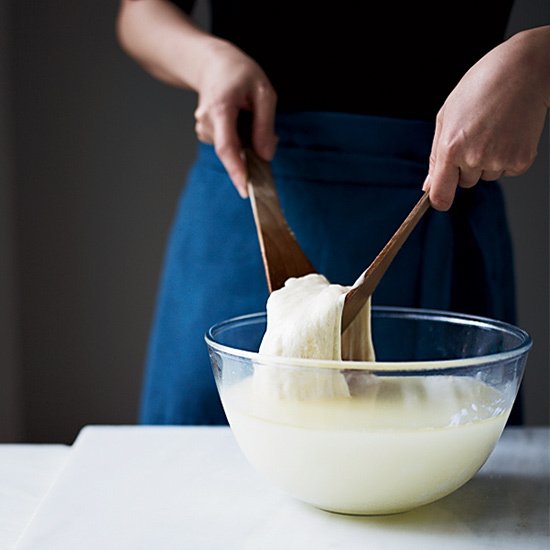 Using 2 wooden spoons or spatulas, pull the curd up from the bottom and fold it over onto itself until it’s smooth and silky and forms tender strands, about 3 minutes. Pull a fist-size piece of warm curd and shape it into a ball by stretching and tucking it under and into itself. Pinch off the ball and drop it into a bowl of warm water. Repeat with the remaining curd. 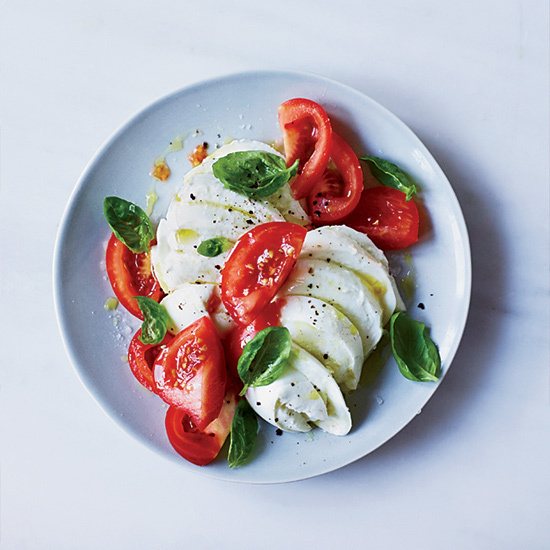 Slice the mozzarella and serve with tomatoes, fresh basil, a drizzle of olive oil and a sprinkling of sea salt and pepper. Or wrap the mozzarella balls in plastic and refrigerate for up to 3 days.